One of the myths that we’ve happily dispelled with Fletcher is that you need to spend a ton of money putting up a web series website that reflects the brand of your show. If you can navigate your way around the interweb, you’ll discover a wealth of tools at low or no cost – many of which you already use – that are invaluable for putting together your web series’ website while you’re waiting for your sponsorship money to come through. I’ve put together a list of ten tools that we use to power the Fletcher website compiled from the many ‘how do we get a website for our show…?’ themed emails. Bear in mind that there are more complex and more expensive ways of going about achieving what each of these tools does for us. This list is neither exhaustive or original, but if you’re a novice in the world of putting up a website and you have no money, honey, then this is a not-too-shabby way to go. 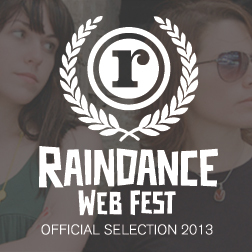 Yes, our site was put up in Dreamweaver! Dreamweaver is an example of a WYSIWYG (what you see is what you get) editor – super handy if you don’t know your doctypes from your div layers. 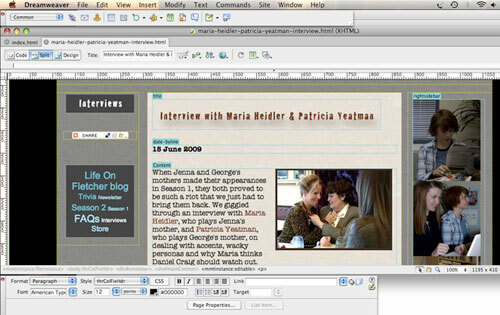 Dreamweaver is not free, but there are any number of free WYSIWYG editors out there. Check out this article by thefreecountry.com on free HTML editors, web editors, and WYSIWYG web editors and site builders. Life On Fletcher is powered by Blogger and we chose Blogger for two reasons. Firstly, I wanted to keep the existing site intact and I didn’t want to do a big integration or move it off Dreamweaver. Blogger allows us to update the blog online and publish it to our site via ftp. Secondly, I wanted the blog published on our URL i.e. www.bjfletcherprivateeye.com/blog as opposed to e.g. bjfletcherprivateeye.wordpress.com so that it would be search engine friendly. Instead of adding a blog to your site, you can follow some of our favourite shows and put your show straight onto a blog. For example, Seeking Simone is powered by Typepad, while GOLD The Series is powered by Expression Engine (with comments powered by Disqus, natch!). Our episodes are available on Daily Motion’s player. We chose Daily Motion after signing up to the Motion Maker programme, which allows us to upload videos of a higher file size and of any length compared to their standard offering. The main advantage to having a third party video player is that we don’t have to utilise our bandwidth or server space to allow you to enjoy our episodes. There are many video hosting services out there with embeddable players. Look for one that gives you a nice encode, might offer you quicker upload times and allows you to upload videos suitable for the file size and episode length of your show. Vimeo, another one of our favourites, is used by We Have To Stop Now, and blip.tv is used by Seeking Simone and Anyone But Me. 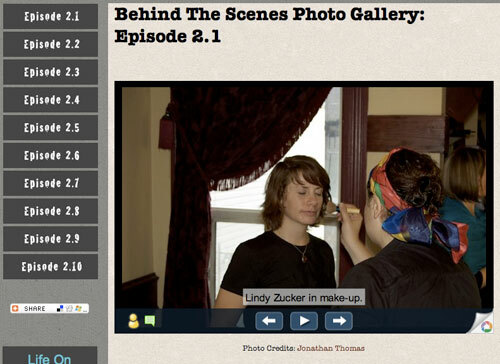 There are many advantages to hosting your pictures in an online slide show. The main one is that, if you have a gazillion behind the scenes pictures like we do, as with video, you don’t take up valuable storage space and bandwidth when people view your high res images. The fact that it’s also embeddable means that people can embed them in their blogs and on their sites – free publicity for you! We chose Picasa because you can upload and create photo galleries in five different sizes, something we were quite keen on to show off the skills of our photographer, Jonathan Thomas. Other free, popular, embeddable photo gallery sharing aps include Flickr and Photobucket. A must-have ap for anyone doing anything with images online, Photoshop is responsible for our image retouching, resizing, and most of our artwork. 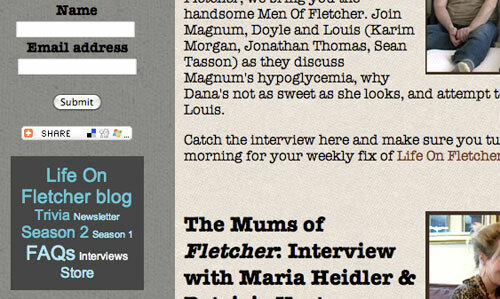 Have you noticed the grey and beige backgrounds on our site? The texture actually comes from a close-up of a photo of a pool table in the bar where George works in Season 1. We enhanced the texture and applied an overlay colour in Photoshop. Photoshop is expensive, but you can also use the open source alternative, GIMP, for all your image work. GIMP is an open source image manipulator (and it’s free!). As a no-budget show, we couldn’t have accomplished a lot of what we’ve done without the support of our fans, many of whom donated via PayPal. After linking up your bank account, you can integrate a PayPal button of your choice into your site to start funding gas money, equipment rental or that prop from the Goodwill store. Have you taken part in one of our audience surveys? 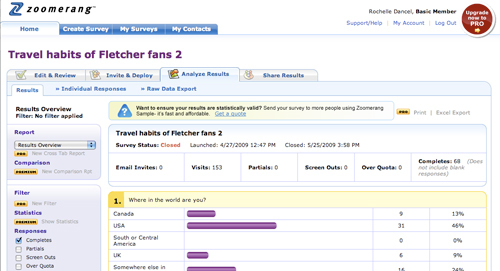 If so, you’ve already been introduced to Zoomerang, a free online survey tool. We’ve used it to put together demographic surveys of our viewers to give potential sponsors a better understanding of who watches our show. We’ve also recently discovered QuestionPro. Their free account allows you to collect unlimited responses and has some basic reporting functions lacking in Zoomerang’s free account, saving you oodles of time manually entering date into a spreadsheet to crunch your numbers. This one’s for your marketing people (although, this being a web series, that’s probably you too!). Google Analytics is a free tool that tracks not only the number of visitors to your site and where they came from, but also where they go once they get to your site – very useful when you’re trying to work out where to best place one of your sponsor’s ads so that the most people see it, or to track whether anyone can find your deeply buried FAQ page. How else would we know that, in the month of June 2009, the most popular link on our homepage was the Season 2 link in our tag cloud? We like to make it as easy as possible for you to share all the cool stuff on our site with your friends on all of your social networks. So you’ll see a handy little ‘Share This’ button courtesy of Add This on most of our pages that will allow you to share our content across 55 (and counting) different social networks. And speaking of social networking, we couldn’t let it go without mentioning the latest pretender to the social networking crown – Twitter. We’re big fans, and it has allowed us to connect with some new friends, including the editors at Eurout and Cherrygrrl; some old friends, like the teams at AfterEllen and One More Lesbian, and some other web series talents including Mel Robertson from FEED, Renee Olbert and Rosemary Rowe from Seeking Simone and Tubefilter’s Marc Hustvedt. Reach out, connect, plug your show and keep everyone up to date with your latest developments – it all helps your marketing efforts. The Twitter widgets on our homepage and blog are from Twitter’s own site and the ‘follow us’ tab that you see on every page comes courtesy of Go2Web. So that’s 10 tools that keep our website ticking along. There are many more out there that we’re currently playing with and that you might see on our site in future, including Nabble, a free online embeddable forum where all of you can gather to ponder whether George will pick Fletcher or Jenna. There are some incredible sites out there, ranging from sites that were put up on a wish and a prayer and absolutely no coding knowledge, to sites that were built by marketing powerhouses. Take a good look at them all for inspiration for your site – just don’t forget to watch some incredible shows too. OMG I could so totally do this! Thanks for the road map. I believe this is a journey will worth the effort. Thanks for paving the way for those with the wanderlust. A very useful resource indeed. Thanks a lot. It is nice post. Everyone can search easily on google service. An amazing information you have been share with us and it is really helpful for photography field. If you are looking for the best Image Retouching Service, then visit The Pix. Yap. All of the points are really awesome. I don’t understand why are you just mention about twitter, all the social media site should be in the website. Usually i use all the tools but not Zoomerang. What is it for ? It is critical to keep your chain sharp, since dull chain builds the cutting apparatus bar propelling upward after chain gets captured in the wood. This event is generally known as kickback and it is a standout amongst the most widely recognized reasons for cutting apparatus damage. Adobe Photoshop is the most powerful photo editing software which is every design firm used. Thank you for sharing. So interesting ! each tools i have used that you shared . It also amazing to me . But its a good shared there is no confused . Good to about your work. If you are looking for the professional Product Photo Editing Service then, Thepix.net is the right platform for editing images and videos.